While the weather outside is cold in a lot of places, I thought it would be fun to hearken back to warmer days of August. After a break from the road in Colorado, I was eager to get back on the road and finish the tour. I had 3 performances in Wyoming (Laramie, Rock Springs, and Evanston), and they all proved to be amazing on so many levels. Driving the route in Wyoming proved to be pretty fascinating as well. 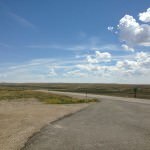 Similar to what Michael Grass noted in this post, I found sections of Wyoming not on the interstate to be more isolated than what I noticed driving in Nevada (so much for it being America’s “Loneliest Highway”). With Nebraska and Colorado, you know that you’ll run into towns/populations of people regularly along the route. In Wyoming, this all changes. You’re checking your gas tank with every town you drive through to make sure you might have enough, especially if you’re thinking of off-roading it. 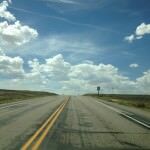 The sky and the road would blur together at times (especially in the Medicine Bow Loop), and there were times that I thought I was driving into the sky itself. 1) I spent most of my time in Laramie, and I have to say the people were so warm and lovely. My dear friend Jen was an instrumental person to this part of the tour, and I wish there were more people like her in the world. 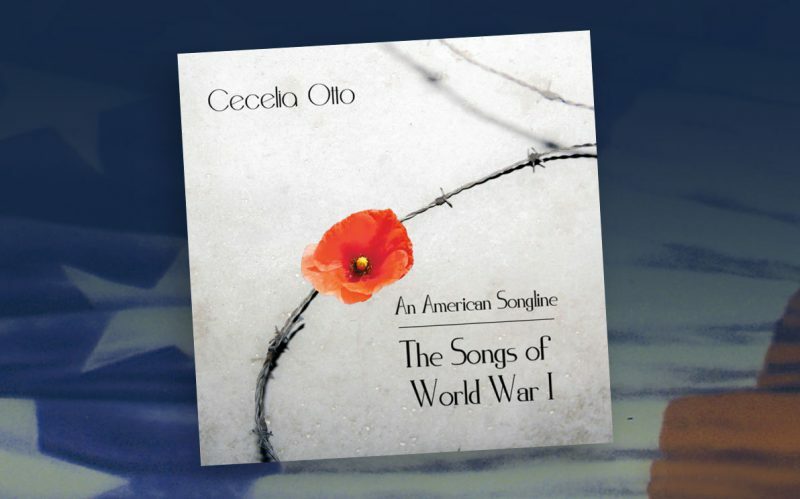 It was wonderful to have the chance to sing with her again, and I hope that if you are in Laramie you’ll get the chance to hear her sing. 2) The bullet holes in bar mirrors at the Buckhorn Bar. 3) Driving my first section of real interstate on this tour again (parts of the Lincoln are directly under I-80), and really feeling weird about it. 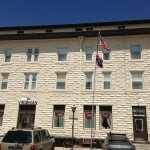 4) My interview on Wyoming Public Radio was a blast! 5) The Medicine Bow loop. Everything about this stretch of the road is remarkable. 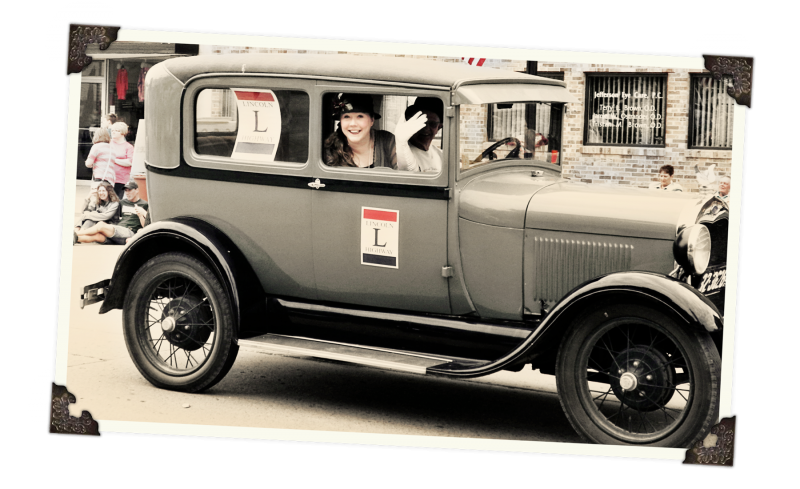 You will definitely get a taste of what it was like to drive the Lincoln 100 years ago in this part of the route. 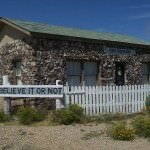 6) The abandoned gas station at the Nebraska/Wyoming State Line (you can see a photo of it in my Western Nebraska Post). 7) That part of the Lincoln Highway is called “Otto Road”! It’s just west of Cheyenne. 8) Standing at Sherman Summit on the original route – the view was breathtaking. 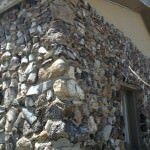 9) Stopping at the Fossil Cabin and listening to the wind rumble across the land. The cabin is awesome, and again the view is quite beautiful. 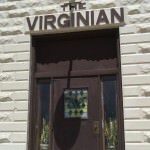 10) I was granted permission to wander around the Virginian Hotel to check out and photograph the rooms freely. There weren’t many people around, so it truly felt liked I stepped back in time. There’s plenty more I could list, but this should hopefully give you some highlights to look forward to when driving this stretch of the road. Now onto the photos! 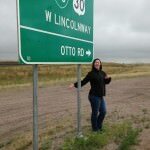 Just outside of Cheyenne, the 1913 Lincoln Highway turns into what is now called “Otto Road”. I of course had to pose by the sign. 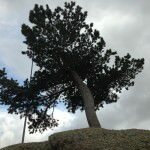 Here’s the famous Tree Rock, which is smack in the middle of I-80. Definitely a good stop along the route for you to stretch your legs. 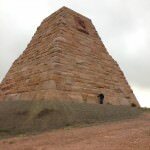 The Ames Monument was built in 1882 by the Union Pacific Railroad. That black dot in the middle of the mounment is me standing at full height (I’m 5’10”). 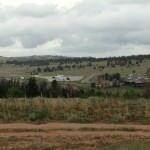 From my list above, here’s the view of from Sherman Summit, the highest point on the Lincoln Highway. You can see the Lincoln Statue in the distance. This Memorial to Henry Joy (one of the founders of the Lincoln Highway) was originally placed West of Rawlins at his favorite campsite. 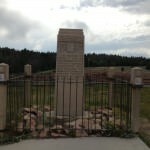 Due to vandalism, this monument was moved to Sherman Summit. 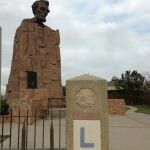 Here’s the famous Lincoln statue up close, with an LH marker in the foreground. You read this right! 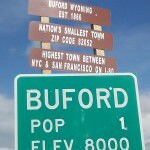 Buford, WY is the smallest town not only along the Lincoln Highway, but in the nation as well. 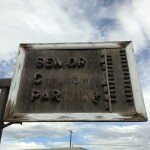 Taking in the sights of Laramie, here’s a great old sign along the route. Another sign not too far from the highway, which has seen better days. 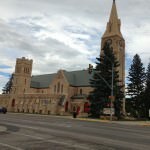 This is St. Matthew’s Cathedral in Laramie, the highest Cathedral in North America. 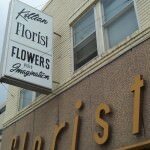 I am honored to say that I performed my concert here, and it was one of the best shows I did along the route. 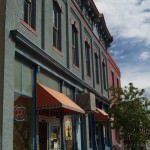 More views of downtown Laramie. 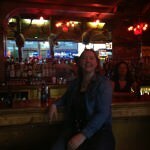 Me at the the Buckhorn Bar in Laramie. If you look really closely in the reflection you’ll see a couple bullet holes in the mirror from an angry husband back in the early 70’s. 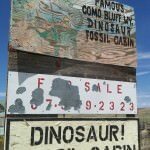 The Dinosaur Fossil Cabin was built in 1933, and is referred to as the World’s “Oldest” Cabin. Close up picture of the fossils. With the fossil cabin at my back, this is the view of the area around it. I can still hear the wind. 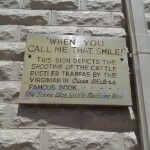 The Virginian Hotel became famous after Owen Wister wrote his novel “The Virginian” in 1902. Front door of the hotel. 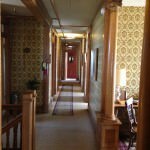 Hallway in the Virginian Hotel, preserved beautifully. 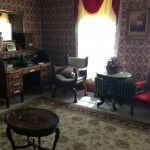 This is the Owen Wister suite, where “The Virginian” was written. 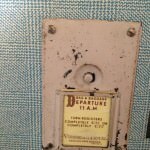 Love this old hotel buzzer. Remember, there’s no phones in these rooms, that’s how old they are! The road met the sky here many times. It was lonely at points, but so beautiful. Western Wyoming is up next, so until then stay warm and enjoy your weekend!